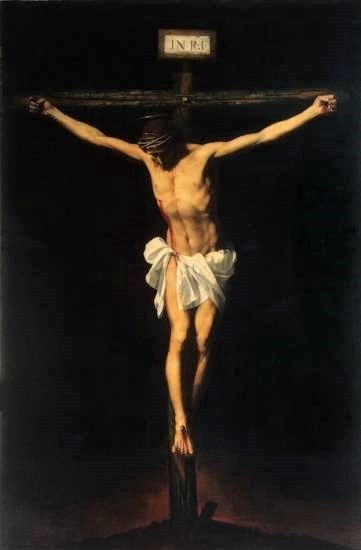 O God, who by the passion of thine only-begotten Son, and by the effusion of his blood through five wounds, didst repair human nature lost by sin; grant, we beseech thee, that we who venerate on earth the wounds he received, may deserve to obtain the fruit of the same most precious blood in heaven. Through the same Christ our Lord. Amen. For prayer and meditation, we put the Fifteen Prayers of St. Bridget, in honour of Sacred Wounds of our blessed Saviour. These prayers reflect the meditation on the passion of Christ, and are structured around the seven last Words of Christ. Taken from The Poor Man’s Manual, Belfast, Ireland, 1833, Permissu Superiorum. To be said in honour of the Sacred Wounds of our Blessed Saviour. 1. O MOST sweet Lord Jesus Christ, eternal sweetness of those who love thee, joy above any desire, firm hope of the hopeless, solace of the sorrowful, and most merciful lover of all penitent sinners, who hast said: thy delight is to be with the sons of men. For the love of whom thou didst assume human nature in the fullness of time. Remember, most sweet Lord Jesus, all those sharp sorrows which then pierced thy sacred soul, from the first instant of thy incarnation, until the time of thy solitary passion, preordained from all eternity! Remember, O most amiable Saviour, all those bitter anguishes thou didst suffer, when at thy last supper thou didst wash the feet of thy disciples, didst feed them with the sacred banquet of thy precious body and blood, and most sweetly comforting them, didst foretell them thy ensuing passion; after which, going to mount Olivet, thou saidst, “my soul is sorrowful unto death.” Remember, l beseech thee, O most sweet Saviour, that bitter and anguish, which thy sacred soul didst suffer, when praying three several times to thy heavenly Father thou didst sweat water and blood, thou wert betrayed by thy own disciple, apprehended by thy chosen people, accused by false witnesses, unjustly judged by three judges, and in thy elected city, in the paschal solemnity, in the flourishing age of thy youth, wrongfully condemned, bound, beaten, spurned, spit upon, despoiled of thy garments, and clothed with others in scorn; wert blind-folded, buffeted, spit upon again, bound naked to a pillar, most cruelly scourged, crowned with thorns, struck with a reed, and afflicted with innumerable other torments, pains, and injuries: O my Lord Jesus, by the memory and merit of all those bitter pains and anguishes before thy last expiration on the cross, vouchsafe to grant me before my death, true contrition, entire confession, a flowing fountain of tears, full satisfaction, and a plenary remission of all my sins. Amen. O most gracious Lord Jesus, be propitious to me a sinner. Pater Noster. Ave Maria. 2. O MOST sweet Lord Jesus, true liberty of angels, and paradise of delights, remember, I beseech thee, that grief and sorrow which thou didst suffer, when thy cruel enemies like fierce lions with furious and dreadful looks, compassing thee round about, did tear off thy hair, spit upon thy sacred face, scratched, beat, buffeted thee, and with all manner of unheard of injuries, outrages and torments, didst most cruelly and basely blaspheme, scorn and affront thee: O most sweet Lord Jesus, by all those most barbarous and inhuman outrages which thou didst suffer, vouchsafe to deliver me from all my enemies visible and invisible, that protected under the shadow of thy wings, I may safely arrive at the port of eternal glory. Amen. O most gracious Lord Jesus Christ, be propitious to me a sinner. Pater Noster. Ave Maria. 3. O MOST sweet Lord Jesus, omnipotent Creator and Fabricator of the world, and repairer of mankind, who containest both heaven and earth in thy hand, and whose immensity no bounds can limit; remember, I beseech thee, the bitter pains and anguishes which thou didst endure, when the perfidious Jews pierced thy delicate and tender hands and feet, with most rough and blunt nails, stretching them forth so violently with cords to the holes which they made in the cross. Thus they heaped dolors upon dolors, most cruelly disjointing all thy bones, breaking all thy veins, and renewing all thy sacred wounds. O most sweet Jesus, by the memory of all these thy pains and torments upon the cross, vouchsafe to give me thy fear and love, with perfect charity towards my neighbour. Amen. O most pious Lord Jesus, be propitious to me a sinner. Pater Noster. Ave Maria. 4. O MOST sweet Lord Jesus, heavenly physician of human nature, and eternal king, remember, I beseech thee, all those bitter pains and torments which thou didst endure in thy sacred members, when being hoisted up upon the cross, with all thy precious body rent and torn, all thy bones so disjointed, that not one remained in its right place, not having from the crown of thy head to the sole of thy foot any part left whole, so that no dolor could be compared to thine, at which time, being unmindful of thy own torments, thou didst mercifully pray to thy heavenly Father for thy cruel enemies, saying, “Father, forgive them, for they know not what they do.” O most meek and merciful Lord Jesus, by this thy admirable benignity, goodness, love, and mercy, and by all thy bitter pains and torments, grant that the memory of thy dolorous passion may be a most powerful protection of my soul and body, against all the deceits, temptations and molestations of the devils, my cruel enemies. Amen. O most merciful Lord Jesus, be propitious to me a sinner. Pater Noster. Ave Maria. 5. O MOST sweet Jesus Christ, mirror of eternal brightness, and wisdom of the omnipotent Father, remember the bitter grief and sorrow thy sacred soul didst feel, when beholding in the clear mirror of thy divine presence, the predestination of thy elect, who through the merits of thy most salutary passion were to be saved, and the reprobation of the wicked, who for their ingratitude were to be damned, and the abyss of thy immense mercy, by which thou didst commiserate and shed tears for us miserable, lost, and forlorn sinners, and chiefly by that mercy which thou didst show to the thief upon the cross, saying to him, “this day thou shalt be with me in Paradise.” I beseech thee, O most sweet Lord Jesus, my Lord and my God, to show the like mercy to me now, and at the hour of my death. Amen. O most sweet Lord Jesus, be propitious to me a sinner. Pater Noster. Ave Maria. 6. O MOST sweet Lord Jesus, omnipotent king, and most amiable friend, remember the bitter grief and sorrow thy sacred soul didst suffer, when being forsaken of all thy friends and acquaintance, thou didst hang naked, rent and torn upon the cross, not having any to comfort or compassionate thee, but only the blessed and glorious Virgin Mary, thy mother, who, standing under the cross in the bitterness of her soul, accompanied thee in all thy torments, unto whom thou didst commend thy beloved disciple St. John in thy place, saying unto her, “woman, behold thy son,” and after to thy disciple, “behold thy mother.” O most sweet Lord Jesus, by that sword of sorrow, which did then transpierce her sacred soul, and by the tender love and compassion, wherewith thou didst resent the sad distresses of thy sorrowful mother, have pity and compassion on me, I beseech thee, my dearest Lord; and mercifully help, comfort, succour, and assist me in all my tribulations, adversities, necessities, sorrows, and sufferings, both spiritual and corporal. Amen. O most blessed Lord Jesus, be propitious to me a sinner. Pater Noster. Ave Maria. 7. O MOST sweet and blessed Lord Jesus, crown of joy, treasure of felicity, sweet source of consolation, and inexhausted fountain of mercy; who hanging on the cross, out of the most inflamed desire thou hadst of the salvation of our souls; saidst, “I thirst,” viz. for the redemption of mankind. O dearest Lord, by this thy ardent charity, inflame our hearts with thy holy love, enkindle our desire to accomplish diligently all good works, and wholly extinguish the heat of all evil concupiscence and worldly affections in us. Amen. 8. O MOST sweet Lord Jesus, the true light of those that believe in thee, suavity of hearts, and sovereign solace of all the faithful souls, by that bitter gall and vinegar thou didst taste upon the cross, at the hour of thy death, grant us, miserable sinners, grace, worthily to receive at all times, particularly at the hour of our death, thy most precious body and blood, that by the virtue of this divine banquet, and all other salutary sacraments, we may be preserved from all evils, sins and punishments, and replenished with all joy, and securely appear in thy divine presence. Amen. O most sweet Jesus, be propitious to me a sinner. Pater Noster. Ave Maria. 9. MOST sweet Lord Jesus, regal virtue, and all mental jubilee, remember, I beseech thee, those excessive pains and anguishes thou didst endure for us upon the cross, when through the bitterness of death, and the impious blasphemies, derisions, scorns and reproaches of the Jews, with a loud voice and weeping eyes, thou didst cry to thy heavenly Father, with this sad com plaint, Eloi, Eloi, lamma sabacthani, that is to say, my God, my God, why hast thou forsaken me? O most sweet Lord Jesus, by this thy bitter torment, sorrow, grief and anguish, vouchsafe, I beseech thee, to have pity and succour me in all my sorrows, sufferings and tribulations, and particularly at the hour of my death. O then, my dearest Lord and my God, vouchsafe to assist and succour me, and not forsake me, I beseech thee. Amen. 10. O MOST sacred Lord Jesus, Alpha and Omega, the beginning and ending of all things, and mirror of all virtue, remember how from the crown of thy head to thy feet, thou wert immerged in the deluge of thy dolorous passion, for the love of us vile sinners; O most sweet Lord Jesus, by the length, breadth, greatness and multitude of thy sacred wounds, take from me the love of the world, and teach me, by a true and perfect charity, always to keep thy holy law and commandments. Amen. O most wise Lord Jesus, be propitious to me a sinner. Pater Noster. Ave Maria. 11. O MOST sweet Lord Jesus, sovereign goodness, eternal beatitude of thy saints, and most profound abyss of mercy, by the deep wounds which did not only transpierce thy sacred flesh, but even thy bowels, and the marrow of thy bones, be merciful to me a miserable sinner, who now am drowned in my sins and iniquities, and hide me in thy sacred wounds from the face of thy wrath, until thy indignation be past and appeased. Amen. O most potent Lord Jesus, be propitious to me a sinner. Pater Noster. Ave Maria. 12. O MOST sweet Lord Jesus, mirror of verity, pledge of unity, and bond of charity! remember the innumerable multitude of all those painful wounds wherewith thou wert covered from head to foot, all thy holy body most cruelly rent and torn by impious Jews, and dyed with thy most precious blood, all which most dreadful dolors thou didst endure for us vile sinners. O most gracious Lord, engrave these thy dolors deeply in my heart, and write them there with thy precious blood, that in them I may always read thy love and dolors; so that the memory of thy painful passion may daily be renewed in me, and my love increased towards thee, and I remain perpetually thankful to thy immense charity, to the last period of my life, until I come to enjoy thee, my only dear Lord, and most desired treasure, abounding with all joy and felicity; which through thy goodness be pleased to grant, O most sweet Lord Jesus. Amen. O most noble Lord Jesus, be propitious to me a sinner. Pater Noster. Ave Maria. 13. O MOST sweet Lord Jesus, most victorious lion, most invincible, triumphant and immortal king! remember, I beseech thee, all the bitter pains and anguishes thou didst endure, when all the forces of thy heart and body failing, bowing down thy sacred head, thou saidst, “it is consummated." O dearest Lord, by these thy deadly dolors, have mercy on me at my last passage, when my heart and soul shall be in anguish and anxiety. Amen. 14. MOST sweet Lord Jesus, only begotten Son of the eternal Father, figure of his substance, splendour of his glory! remember that most earnest recommendation wherewith thou didst commend thy sacred, sweet soul, to thy omnipotent Father, upon the cross, saying, “ Father, into thy hands I commend my spirit.” At which, time thou didst hang naked on the cross, with thy most holy body all over wounded, rent, and torn, pouring forth streams of most precious blood, with thy face pale and wan, thy head crowned with thorns, thy arms extended, thy hands nailed, thy veins broken, thy bones disjointed, thy bowels of mercy opened, thy eyes weeping and obscured, thy voice failing, thy breast thirsting, and holy heart broken. O my most merciful Lord, unto all these cruel pains and torments didst thou deliver thy most sacred, innocent, tender, pure, and precious body, for the redemption of us most wretched, vile, and miserable sinners, and in this manner renderedst thy sweet soul to thy celestial Father; by which most precious and innocent death of thine, and by the virtue of the holy cross, I beseech thee, O Father of mercy, and omnipotent king of saints, to give me grace to resist the world, the flesh, and the devil, that being dead to all terrestrial things, I may live to thee alone, and have the happiness to be received by thee at my last passage, when this my miserable exile shall be ended. Amen. 15. O MOST sweet Lord Jesus, most flourishing, true, and fruitful vine, remember the super-abundant effusion of thy precious blood, which thou didst pour forth so plentifully from all parts of thy holy body, like a cluster of pressed grapes, when thou thyself alone didst tread the vine-press on the cross, and out of thy pierced side didst give us water and wine to drink, not leaving so much as one drop, being like a bundle of pure and precious myrrh: Thou wert suspended on high upon the cross, at which time the liquor of thy bowels dried up, the marrow of thy bones consumed, and thy most delicate and tender body wholly fainted and failed. O most sweet Lord Jesus; by this most liberal effusion of thy precious blood; by thy bitter death and passion, and all thy sacred wounds, vouchsafe to wound my heart with that tender love wherewith the holy heart of thy most blessed mother was wounded under the cross, that tears of love and penance may be my bread day and night, and convert me wholly to thee, that my heart may be thy perpetual habitation, my conversation pleasing and acceptable to thy divine majesty, and the end of my life so laudable, that having finished this mortal pilgrimage, I may be admitted into immortal glory, to praise and glorify thee my sovereign Lord, in the sweet society of thy holy angels and saints to all eternity. Amen. O MOST sweet Lord Jesus Christ, Son of the living God, vouchsafe to receive these prayers in union with that most excellent love, wherewith thou didst suffer all the wounds of thy most precious body, and be merciful to me thy poor unworthy servant, and all sinners, with all faithful souls both living and dead, graciously granting to us all, mercy, grace, remission of sins, and life everlasting. Amen. O Mary, Sorrowful Mother, offer to the Holy Trinity the Holy Wounds and sufferings of the Sacred Humanity of your beloved Son.